Danny Dayan, the head of the Yesha Council, sent flowers and a thank you card to Peace Now, for 'helping' legalize Shomron communities. Danny Dayan, the head of the Yesha Council, sent flowers and a thank you card to the radical leftist Peace Now organization on Thursday. The sardonic gesture came in response to the Civil Administration’s approval of 500 housing units for the Samaria community of Shilo. Dayan thanked Peace Now for the approvals because, ironically enough, they came about as a result of an appeal the organization filed with the Supreme Court and which brought about the process of legalization of the communities. The card was brought to the offices of Peace Now in Jerusalem by Shirel Bleicher, a resident of Shilo, who also attached a special bouquet. 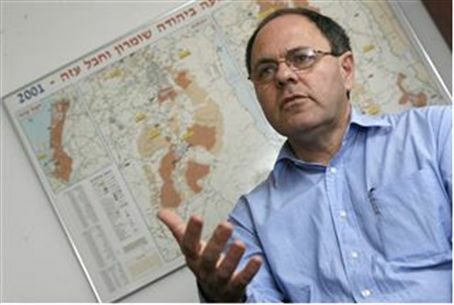 On Wednesday, even before the decision was made, Peace Now leader Yariv Oppenheimer had already begun to attack it. The United States criticized Israel over the decision, saying that Israel’s “settlement activity” was not “constructive” for Middle East. State Department spokesman Mark Toner told reporters he was not familiar with the latest approvals but reiterated that the United States opposes such moves.